It’s that time of year again. The weather is beautiful but the feel of winter is fast approaching especially first thing in the morning when it’s in the 30’s. We’ll be on the slopes sooner than we know. I love this time of year because the air is so crisp, ski swap signs are all over, we’ve gotten an early snow fall meaning the season is just around the corner. After breakfast we load Carpenter Express chairlift. Without fail one of them asks “how many runs before we can have lunch?” Ugh! 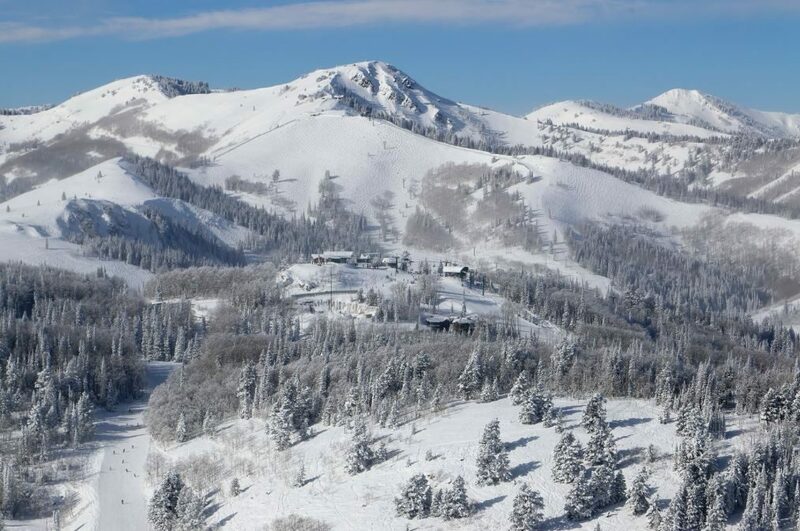 We drop into Silver Lake at mid mountain and ski down to the Wasatch Express chairlift. It’s usually about 10-10:30 a.m. Yes, I agree, it’s late but with two kids in tow I’m trying to keep harmony. After a few runs on Bald Mountain the brothers decide it’s time for Nastar racing. We stay here for a bit trying to improve each run time and also asking “mom, if I’m faster next run can we have lunch?” another ugh!! I tell them they are skiing too fast because we’ve only been skiing for an hour. We then adventure over to Empire Canyon, heading there through unmarked area’s like Bucky’s Backyard, Toilet Bowl and X-Files. Remember skiing with kids you need to keep it fun. So after a few hikes across the Daly Chutes into X-files trees, then it’s lunch time! Once we are in our lunch coma of Panini’s, pasta and fries we start to make our way back to Snow Park. 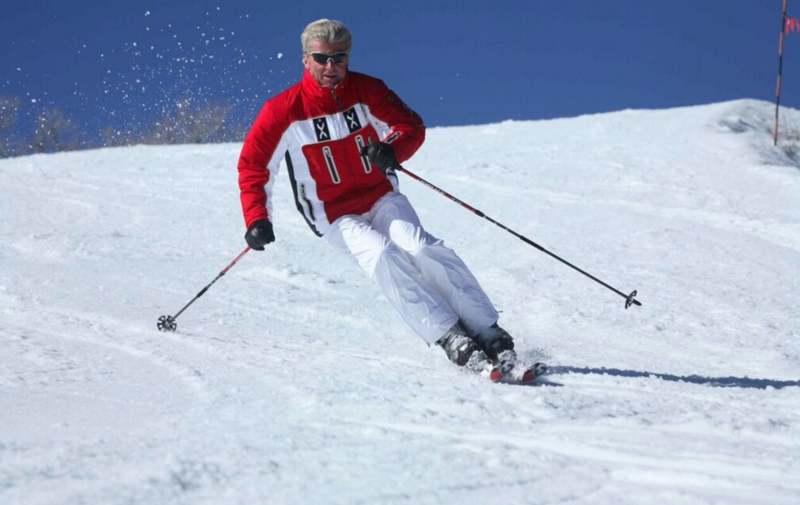 But the rule is to ski as much off piste and jumps as possible. We make our way to the end of the ski area boundary even though; we are trying to make our way back to the base. We grab Lady Morgan chairlift and ski Centennial Trees, then it’s back up Lady Morgan and ski to Ruby chairlift. We race to Ruby’s glade and caution as we merge onto Hawkeye. Load onto Northside Express and ski around into Ontario Bowl. Sometimes this is worthy of 2 laps. It depends on the boy’s excitement and energy. Then onto Judge chairlift to ski towards to Crown Point chairlift. At the top of Crown Point our chosen route is Kimberly ski run where right past the bridge is the boys favorite jump. By now their legs are tired and we ski down Big Stick to the lodge. Our day is done. 2. Another way I show off “My Deer Valley” is with clients. I usually meet the client at their hotel or the Snow Park Lobby. I’m starting my 15th year at Deer Valley so many of my clients are returning guests and I already know what type of skiing they are looking for. (As always it depends and the weather and conditions.) They know already they have a full day of skiing ahead of them. I joke that we are going to ski hard and no lunch break. 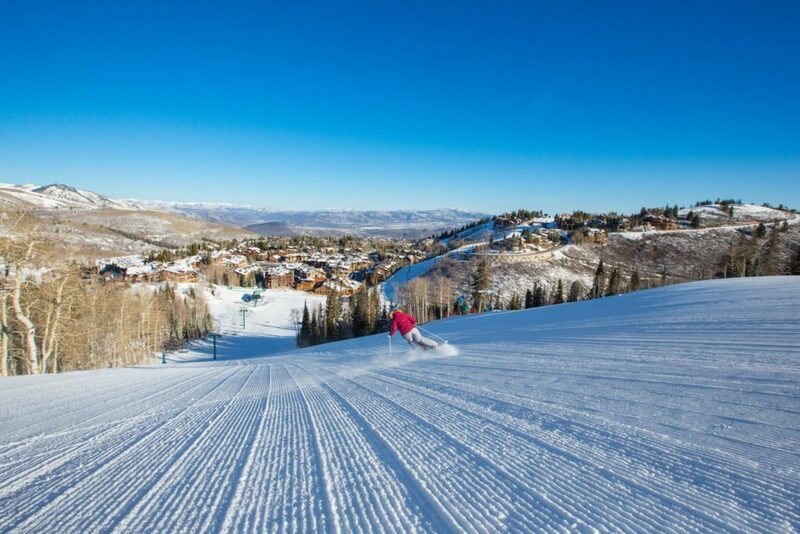 What would skiing be like if you didn’t have lunch at Deer Valley? Certainly not the true experience! The clients usually already have an idea where they would like to eat for lunch. We talk about goals they want to achieve for the day and map out our lines and away we go! 3. The third type of Deer Valley ski day for me is a press/corporate tour day. It starts out much like the client day but usually with a scheduled breakfast. These days I ski the mountain but usually circulate around to make sure I ski with each person (these groups tend to be bigger and provide the desired terrain they are looking for. In between all our turns we usually lunch it at Royal Street Café or wherever the company may plan to meet back together. My goal is to make sure a good time is had by all and when they say they are tired to ski the entire afternoon I break into a little smile. My job is done! I’m exhausted just reading about your days but I have smile. Sounds like a typical end of the day at Deer Valley.